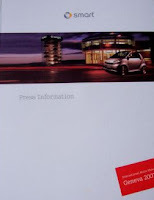 The good people at smart created a wonderful kit full of information on the smart 451, which I received today. 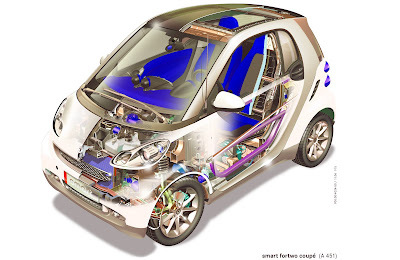 It contains a 108 amazing high quality photos of all the models and even has a inside look at the different parts that makes up the new smart. The kit also had all the technical data for the models that are sold here in North American as well as in Europe, but for the site what I've done is upload all the photos from the kit.